As entrepreneurs Jerry Jariyasunant, Ljuba Miljkovic and I stopped short at a stoplight, a little gizmo plugged into the on-board diagnostics port below the Zipcar’s steering wheel broke the silence with a high-pitched chirp. The Automatic iPhone app shows how many times the driver stopped short. At the same time, a “rough brake” was being tallied on an affiliated app on the iPhone 5 sitting in the cup holder. During an eight-minute test drive around San Francisco’s SoMA neighborhood, it was one of three such short stops, each one adversely impacting the car’s fuel economy. During the test drive, we didn’t go on a freeway, but if Miljkovic had driven faster than 70 mph or accelerated too fast, the app would have tracked that. 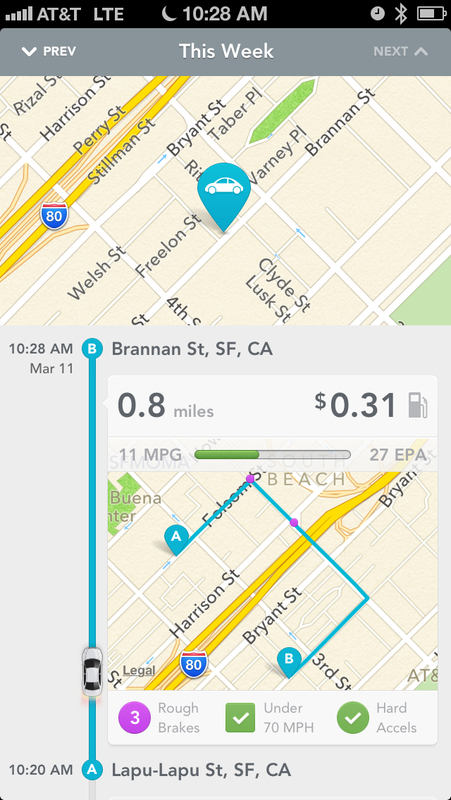 The founding principle of Automatic, a San Francisco startup stepping out of stealth mode on Tuesday, is to point out opportunities to save money and provide other perks to drivers. 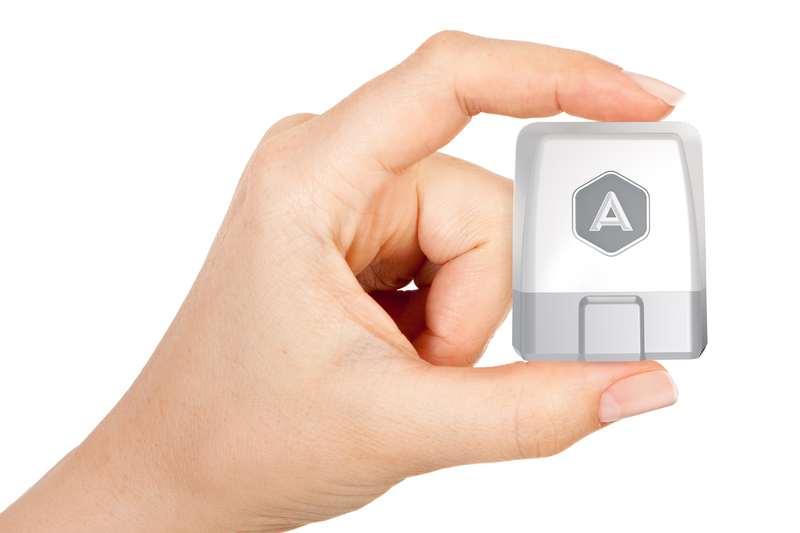 Automatic’s Link device plugs in to the on-board diagnostic port of every car sold in the United States since 1996. Customers can now pre-order the Bluetooth-enabled device on the Automatic website for $69.95; the iPhone app is free. The device, called the Link, will ship in May, with an Android app to follow. No desktop support is planned, but Automatic could add it later if customer demands warrent, said Miljkovic, the company’s chief product officer. Plenty of thrifty drivers could save money by using the Link. The way I drive, I know I could, at least, simply by seeing when I am driving in a way that isn’t optimal. The founders aren’t sure if they want to address the enterprise market. They also haven’t decided what they will do with user data in aggregate, if anything. That could become an important question as some connected-device makers wrestle with whether to share the data and to what degree. To tie in with other devices and applications in the ever-growing internet of things ecosystem, it might be a good idea to open up the data, for other driving apps, for government or industry uses or for other services. However the data question is dealt with, given Link’s size and appearance, it calls to mind Square’s successful gadget that lets consumers order stuff with smartphones. Time will tell if it will be as successful as Square — or Verizon (s vz) Wireless’ Delphi product, which plugs into the same data port as the Automatic gadget.